Port Aransas bears uncanny similarity to its stately neighbor, Arkansas, but in reality, the Texas city excels by far. Enjoy world-class bird watching where vibrant feathers are flashed for your awe and excitement. Catch dinner before your new avian friends on your resort’s fishing dock, or take a guided tour and let the action begin. Port Aransas is home to panoramic vistas, clear blue water, soft sand, and powerful sunshine that gets perfectly complimented by the breezy ocean air. Be warned, if you visit Port Aransas, you may never go back. Never be consumed by the dark, snowy winters of the North again. Be showered in warm Texas sun all months of the year when you own or stay at a condo at The Dunes. Break away from the frigid world and slip into amenities that work. The outdoor pool and hot tub are a refreshing treat, and fish cleaning services take care of the dirty work when you stroll down to the port to catch some dinner. Watch beautiful avian creatures in "America's birdiest small coastal city" of 2010. Want to take the waterslide into the largest pool in Texas, then be pampered by over 200 caring staff members? You want to stay at Port Royal Ocean Resort and reap the benefits of a one-, two-, or three-bedroom condo. Every day is a BBQ day in this southern paradise, so stop by the swim up poolside bar and grill for a refreshing cocktail and delectable food. Boredom is a thing of the past. Tennis, volleyball, and water volleyball are onsite amenities alongside activities like zumba and yoga! 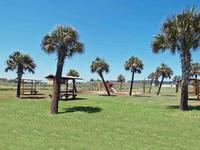 Seven sprawling acres of landscaped grounds make up this tropical getaway of Mustang Island. Coral Cay Beachfront Condominiums, with poolside, gulf front, or gorgeous beachfront views, nudge up against the soft Texas sand of 18 miles of uninterrupted public shoreline. Warm water laps your toes and cool breeze slips through your hair. Think twice about handing your kids a boogie board; the perfect surf is likely to make it nearly impossible to pry them off of it later. Your tropical getaway fantasy just became real with Kontiki Beach Resort Condos in the quaint fishing town of Port Aransas. The beautiful campus, filled with outdoor decks and waterfront views, is separated into 'Phase 1' and 'Phase 2.' The former swaddles you in relaxation with up to three bedrooms and busies your schedule with tennis, basketball, and dipping in the beautiful pool. Phase 2 condos sport private balconies with postcard views of the gulf. Don't wait, your fantasy is here. Spread out in the hot tub and digest the delicious Redfish dinner you personally caught and expertly grilled to perfection. Do it at Laguna Reef Condominium Resort, where the sparkling pool and wide patio are prime relaxation territory. Laze in luxury, or take the adventurous route. Go duck hunting and world-class bird watching, or drop a line off the 100-foot lighted pier. The action starts at night when Speckled Trout and Redfish are begging to be caught. Then again, there is that Jacuzzi. 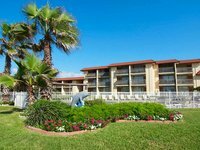 Island Retreat I & II is your family's quintessential home base for taking in all the fish, birds, sun, and waves of Port Aransas from your motel-style room. Both the two-bedroom unit and the efficiency unit serve you in luxurious style, but you'll be spending most of your time outside. Stroll the gulf, where a cool breeze nurtures your comfort under the blazing midday sun. Play tennis, scout out birds, and experience southern fare to remember at restaurants in town. Building sandcastles is just one activity on a laundry list of things to do here at Sandcastle Condominiums. Lounge on the beach, soaking up rays while the kids put the finishing touches on their castle's turrets. Head into town for fresh sea fare and southern comfort food, and visit the art galleries and unique shops of this charming town. End your days in a splendid condominium with a gulf view, or a pool view with a balcony. From sandcastles to fancy condos, Port Aransas has it all. At La Mirage, the only one you'll be seeing is yourself having more fun than you can imagine. 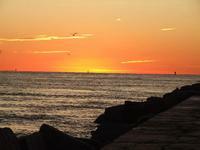 Experience out-of-body elation while staying in Port Aransas, where the fishing is always fantastic. Whether you fly solo, or go out on a charter boat for a guided experience, the trout will be practically jumping into your boat. 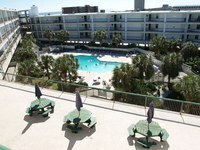 The three-story building is located directly on the gulf, giving you reason to stay put, but if you venture into town, you will find delicious food and southern character. With three lagoon-style pools and a luxurious hot tub to boot, it's not hard to see why The Mayan Princess is called the "Jewel of Mustang Island." 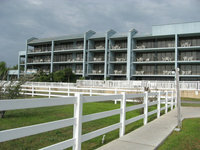 The resort is located 10 miles outside of Port Aransas, becoming the private reprieve from busy home life you want. Lie out and roast in the sun, or burn some calories up and down 27 miles of soft sand and lapping waves. To heighten the luxurious splendor of your stay, drive 10 minutes to the Arnold Palmer Golf Course and hammer out a hole-in-one. At Aransas Princess, you are made to feel like royalty. Beauty, luxury, and panoramic gulf views are the norm here. Kick up sand on the beach during a beautiful sunrise, or settle into the tranquility of the island with a perfectly blended smoothie in hand. There is fun for everyone in the family, from hunting duck to meandering through unique shops in town. When you leave the crownjewel of the Texas Riviera, you will have to remember you aren't born of royal blood. Escape now, your Majesty.